Sir Grout is a leading innovator and award-winning company in the "hard surfaces" care industry that recognizes the special needs of homeowners and businesses. Our services include: •Grout cleaning, sealing, and recoloring with our renowned ColorSeal process •Tile cleaning and sealing •Stone restoration, honing, and polishing on marble, travertine, granite, and slate •Bathroom and shower regrouting and recaulking services •Kitchen and bathroom stone countertop honing and polishing •Sandless wood floor restoration •Slip-resistant applications Sir Grout has been recognized by notable organizations like Home Advisor, Angie’s List, Google, Yelp, Trustdale, Entrepreneur Magazine and others as the best option to restore your hard surfaces in both residential and commercial environments. 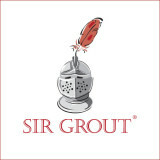 Sir Grout offers in-home/office consultations and we make it quick, easy and convenient for you to learn about our quality services. Contact us today and let us transform your hard surfaces to looking like new again in less than a day. What can I expect from a professional stone cleaner in Nashville, TN? Find a Nashville natural stone cleaner on Houzz. Narrow your search in the Professionals section of the website to local stone cleaners in Nashville, TN and read reviews and ratings to find one that fits your needs.